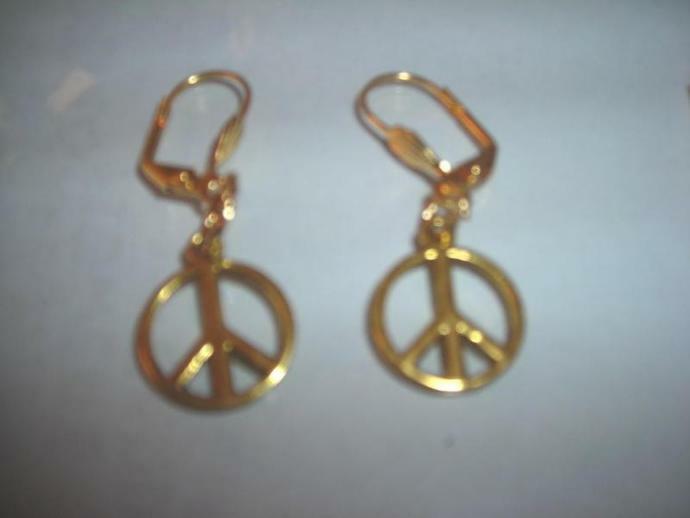 Peace and love 18k gold lever back earrings. 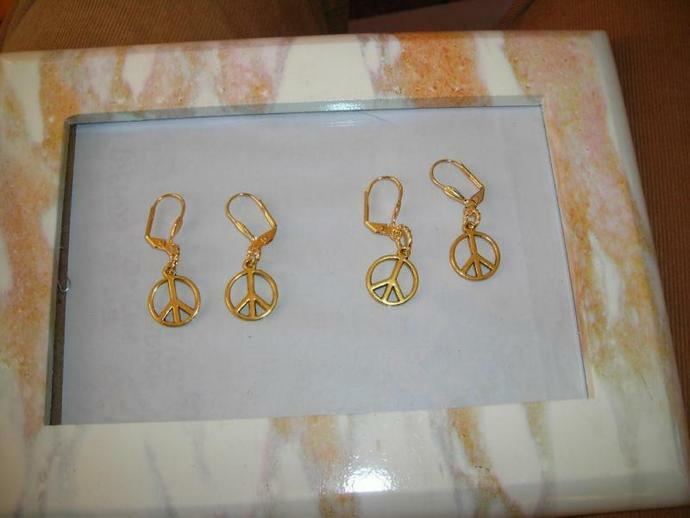 Gold filled peace Antique silver peace sign. Ready for shipping. Measures 2 inches in length. 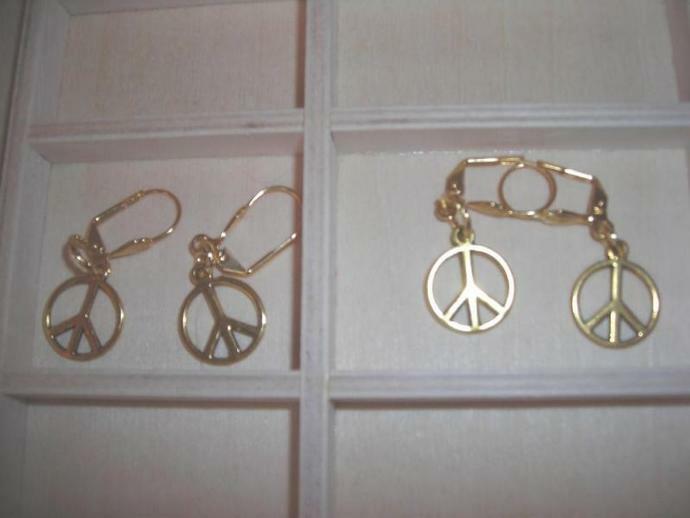 The charm is the size of a quarter coin. 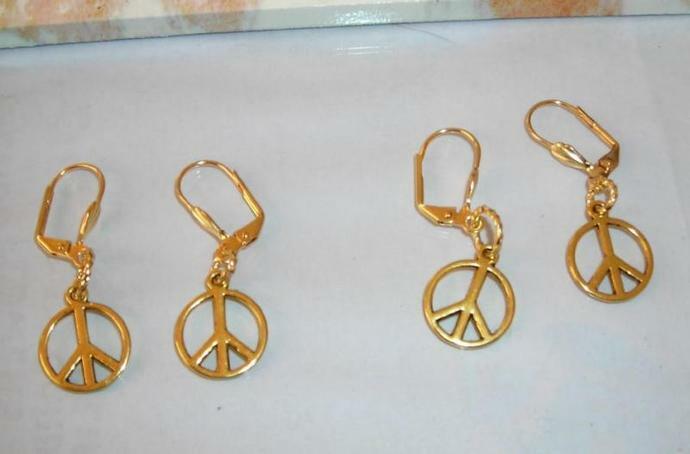 thank you for shopping - preferred customer receive automatic discount!